Today’s featured item is another of my favorites – the WPA Doll. It was made by the Works Progress Administration’s (WPA) Milwaukee Handicrafts Project (MHP) during the Great Depression. MHP was developed to provide income for women during the depression. It was a racially diverse group that created handmade products for schools, libraries and other public institutions. Their products included books, textiles, custom costumes for the Wisconsin State Historical Society, hospital gowns and dolls. The dolls were created when the WPA Nursery School project requested an unbreakable doll. To meet this request, they devised a clever, inexpensive method of creating a durable, washable doll. A local sculptor working on the project, carved a face for the doll that had simple but comforting features. To create the durable doll face, three layers of balbriggan underwear material were dipped in cornstarch and pressed into the mold. The molded face was then dried and filled with a mixture of sodium-silicate and sawdust; the surface was then painted and varnished, creating a durable yet soft finish. 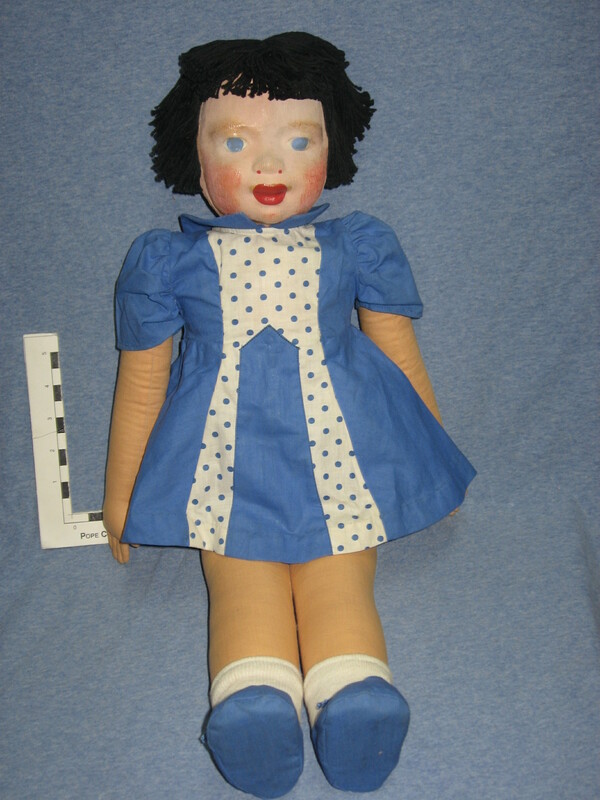 The entire twenty-two inch doll was constructed using washable materials including hair made of carpet warp and a cloth body stuffed with kapok. The dolls even came with a six piece outfit, all for a cost of $2.25. The doll is easily dressable by children just learning to handle buttons. The cloth body is soft and light. In the 1930’s most dolls had heavy, fragile heads, or were rag dolls with hand sewn or hand drawn faces. Early plastics were used at that time, but most of them were also fragile and unstable. 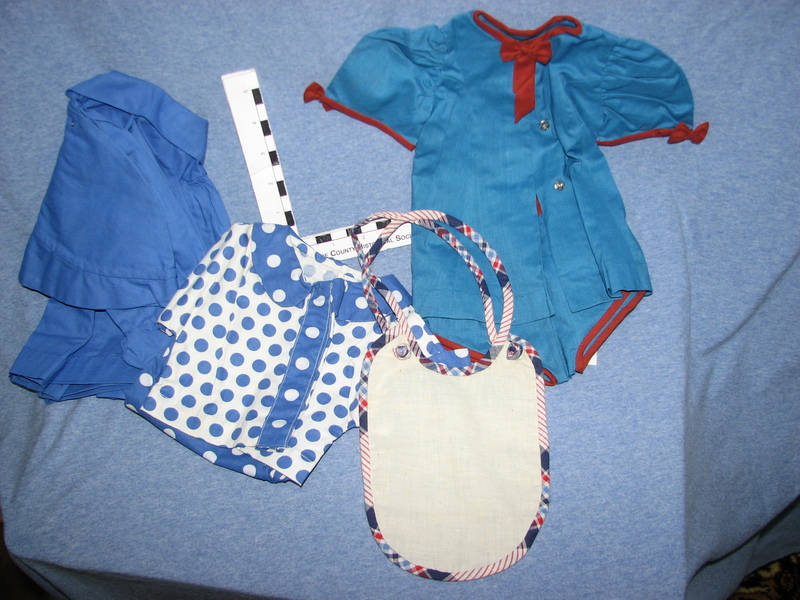 These fabric, molded dolls created decent jobs for women, while providing light, strong, washable toys for children. This entry was posted in Collection Notes and tagged A-Z, Doll Collection, museum collection, Pope County Minnesota, Pope County Museum, WPA Doll. Bookmark the permalink.